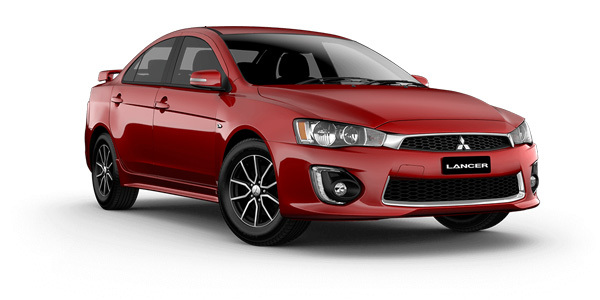 If they base the next Lancer on a Nissan I just want something with IRS, so not the Pulsar unless they upgrade the rear. As for extra stuff on the Altima to a degree it needs to be there, things like self parking and blind spot warning, which are all things now in cheaper cars which the Lancer is competing with. Yes it might not be in the base model but things like that still needs to be there for the others ones. Again its a shame Mitsubishi has taken this line, if people didn't want sedans and hatches then the others would stop making them, and clearly that is not the case. And if they do have the next model base on a Nissan I just hope they also bring out a hot model like the RA or the next get EVO, maybe with some GTR bits under the metal. sarusa wrote: In Vic:many dealers are offering My16 auto in colors for $19990 so white should be cheaper. 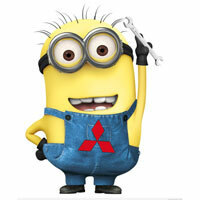 So should be able to get 5 free services and extended warranty for extra year plus roadside assist for 5 years. As I did with similar sought of asking prices when I bought mine. Services in my case were fixed at $250, that means saving of $1250 and that includes oil, filter etc: as specified for that service. So does that mean I can't do further requirements on price discount? The dealer consultant told me that its a special offer price in this month, if so, I will be really nervous if I miss the special offer. and the deal offered. Tell him you have a lead to get the same elsewhere with the five scheduled services and extra years warranty. hold tight and don't budge, start picking up your bits and pieces as though you are getting ready to leave. If the answer is still no. walk out. Await a phone call. if no call you can always go back if you wish. It just looked too good to alter. Internally many alterations and improvements evolved over the years making it better and keeping it up with the times. Still a great looking car and still with a 2ltr or 2.4ltr motor. No turbo thank goodness. Along with only, I believe 2 others. Anyway the new model CF is the first of its nomenclature. Not much change outside but wow, look at the list of extras above and beyond the rest. Anyone else shocked that it looks exactly like the 2016? Lancer1993 wrote: Anyone else shocked that it looks exactly like the 2016? The Lancer will likely only make 2018 as new emission and fuel economy standards come in then. The 4B major update, the 4J engines that the Lancer should have got in 2012 won't even suffice, basically the only option would be direct injection. They will unlikely keep the car going unless it is in name only. Nissan would probably be wise to keep it in some form though, a cheap sedan orientated at the fleet market and young modders. They won't be buying a Maxima or Altima for this! I'd take a 10 year old Mustang in preference to a current model Holden. Matter of preferences. Can isolate almost all new cars same size as lancer because they have a tiny (tinny?) motor with a turbo! Preference!!! EDIT. Which similar, same size car looks more aggressive or better than a RA or EVO? 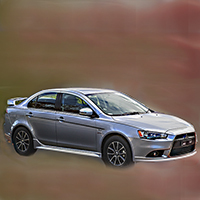 I know this is just CGI and will probably not happen but this is a new 2018 Lancer.